I was born and raised in Northern Italy surrounded by creative family members and friends who showed me the importance of following your true calling and expressing your talents. My mission is to shine the light on those corners in my clients’ lives where their true essence is hiding. By helping them uncover their passions, they move from struggle to ease as they build personally and financially rewarding careers. My broad-based knowledge – from clinical psychology to physics to neuroscience – allows me to address the root causes of the behaviors that are holding my clients back. My quest for meaning started early on in life. As a teenager struggling with my identity and insecurities, I became aware that lasting fulfillment can only be experienced by finding our true essence and expressing our passion. The sudden death of my teenage sister caused me to question the meaning of my life more deeply. And so began my search for my own purpose. My belief in the importance of living authentically and with purpose was later reinforced by my many years of experience as a manager of a family owned retail store in Italy, as well as upscale boutiques in Los Angeles, where I saw firsthand how people use material possessions to fill the void of a purposeless life. As part of my quest for meaning, I moved to the United States in my mid-twenties. This turned out to be the most challenging, yet enriching experience of my life. Learning a new language, finding the means to support myself, and integrating into a new culture allowed me to strengthen my character and expand my mind. It was at this point that my fascination with human behavior and the human mind led me to pursue formal studies in psychology and personal development. My goal was to help others heal and thrive. The training gave me a deep understanding of how we get stuck in negative patterns and settle for unfulfilled lives of mediocrity because we’re disconnected from the full expression of our talents. The direction of my life changed when I was introduced to Life Coaching and its action-oriented focus on creating results, rather than dwelling on the wounds of the past like traditional counseling and therapy does. Finally, I had found my true calling — to use my experience to help people uncover their passion and purpose, tap into their creativity, and take practical steps to build a prosperous life. With this insight, I went on to become a Certified Professional Life Coach. I graduated from a top-notch coaching training institution, and because of this, you get proven coaching techniques that have helped thousands of people overcome their struggles and achieve success. I have a Bachelor's degree in Psychology from California State University, Northridge, and a Master's degree in Psychology from Pepperdine University in Los Angeles. 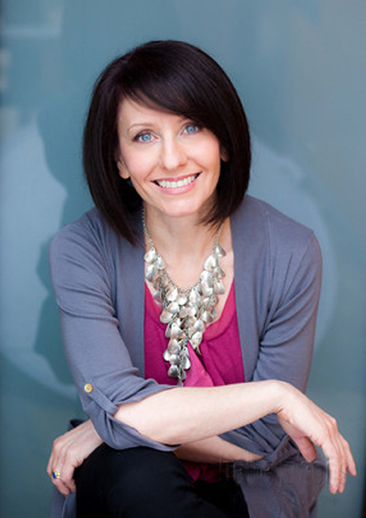 iPEC Coaching – I received my training and certification as a Professional Coach and Energy Leadership Master Practitioner through iPEC Coaching (The Institute for Professional Excellence in Coaching), a program accredited by the International Coach Federation (ICF). ICF International – I'm also an active member of ICF International, as well as ICF Los Angeles chapter. 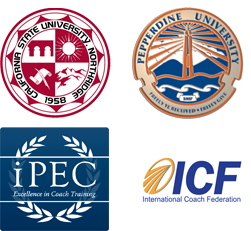 The ICF is an organization that sets rigorous standards for excellence in professional coaching worldwide. I live in Los Angeles with my husband Brad of over 20 years. I like to deepen my knowledge about psychology, neuroscience, human potentials, and spirituality. In my free time I practice yoga and also enjoy hiking, reading and traveling, especially to Italy, my first home and love. Having helped countless people to discover who they truly are and what they really want out of life, I'm confident I can help you too. Curious to Find Out if Coaching is Right For You? © Chiara Pietrogiovanna. All rights reserved.